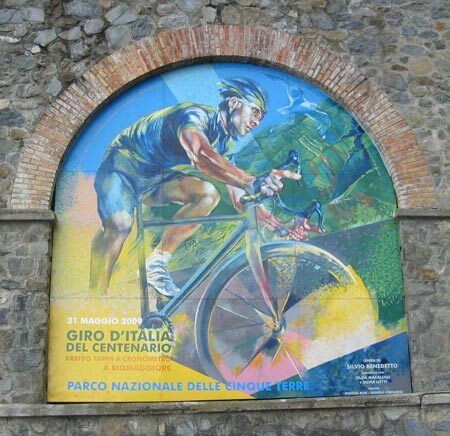 A sublime combination of Monferrato wine country, climbs of the Giro dell’ Appennino and Liguria’s Cinque Terre, this vacation has it all: peaceful roads through meticulously tended vineyards, steep climbs and twisty descents through the Appennines and stunning views of the sea above the Cinque Terre. 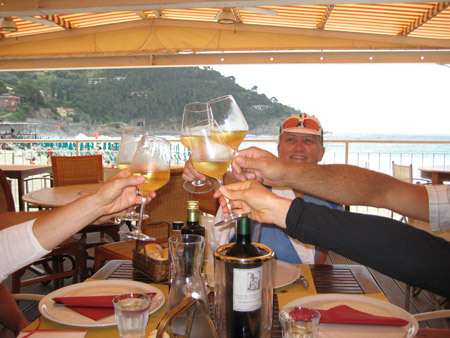 Enjoy the cooking and wines of both Piemonte and Liguria as we ride from vineyard to the sea. 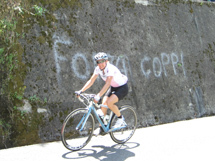 Day 2 – After a short transfer, assemble your bike (or be fitted for one of ours) at our Monferrato hotel. Relax by the pool or take a warm-up ride though wine country before our welcome dinner of Piemontese specialties. 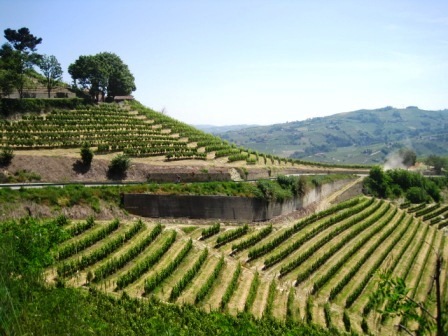 Day 3 – We’re off to the hills of Asti in the heart of Piedmont wine country over peaceful colline under bright sunshine. Pause for pranzo in the shade on the terrace of a favorite osteria before continuing to our restored farmhouse lodging on a hillside surrounded by vineyards. Our group cena will feature wines made within steps of our lodging. Day 4 – Fuel up at the buffet breakfast for loops of 40, 70 or 100 kms through some of the most spectacular vineyards on earth. Loop around natural amphitheatres covered with grapes bathed in sunshine, pausing to enjoy a glass of their essence along with your plate of tajarin, piedmont’s hand-made egg pasta before returning to relax by the pool awaiting another sumptuous dinner. 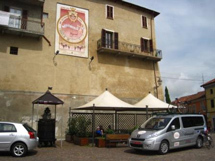 Day 5 – The wine roads of Dolcetto are our route today as we skirt the town of Ovada and enter the Appennines. Vineyards give way to forest and fruit trees as we journey into Liguria and our lodging next to one of Italy’s finest craft breweries “Fabbrica Birra Busalla” Tonight we’ll dine on local specialties with beers chosen to match their flavors. 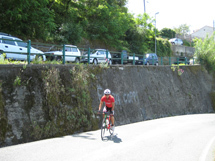 Day 6 – After a buffet breakfast we’ll head east towards the Cinque Terra along roads made famous by the Giro d’ Italia’s stage 12, the amazing individual time trial route where Denis Menchov seized the maglia rosa and held it to the finish in Rome. You’ll quickly see why most riders chose standard racing machines rather than time-trial bikes as you sweep through challenging curves while trying to admire the coastal scenery. The tantalizing views of the sea just get better as we wind down to our lodging on the coast. Enjoy a group dinner featuring authentic Ligurian pesto, made with fresh basil grown just steps away. 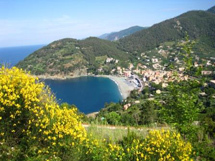 Day 7 – Our route for today features stunning sea views along the Ligurian coastline. Choose an out-and-back route to maximize the scenic opportunities or take a loop ride into the steep inland hills for more challenge. Or take the day off and simply enjoy the beach. Open night for dinner. 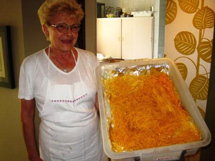 Perhaps you’ll sample farinata, the famous Ligurian chickpea delicacy as you watch the waves caress the sand? 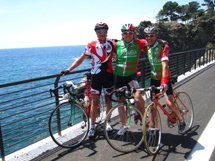 Day 8 – A morning of cycling takes us away from the coast but we’ll enjoy stunning views of the sea as we make our way inland towards the small town of Casarza Ligure. After a sweeping descent on well-paved roads, we’ll have a table reserved for pranzo. After lunch we’ll transfer back to Monferrato for bike packing and perhaps a dip in the pool before our farewell dinner.